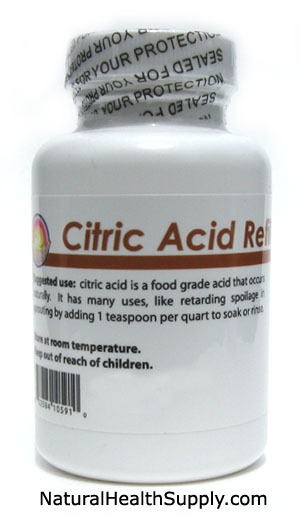 Citric acid is a food grade acid that occurs naturally. It has many uses, like retarding spoilage in sprouting by adding 1 teaspoon per quart to soak or rinse. Citric acid has many more useful purposes beyond preserving food. If you pay any attention to any hair conditioner ingredients label you will always find citric acid among the many chemicals manufacturers put in hair conditioners. The name of the game for them is to be unique. Skip all the hype and make your own hair conditioner with this "secret" formula: 8 oz water + 1 oz citric acid = hair conditioner.